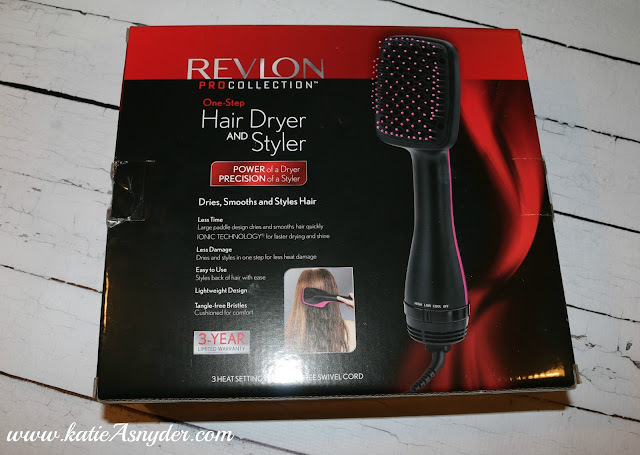 Whilst browsing the Utla Website I stumbled across the Revlon ProCollection One Step Hair Dryer and Styler. As someone who uses a blowdryer 3 times a week, I immediately bought it. 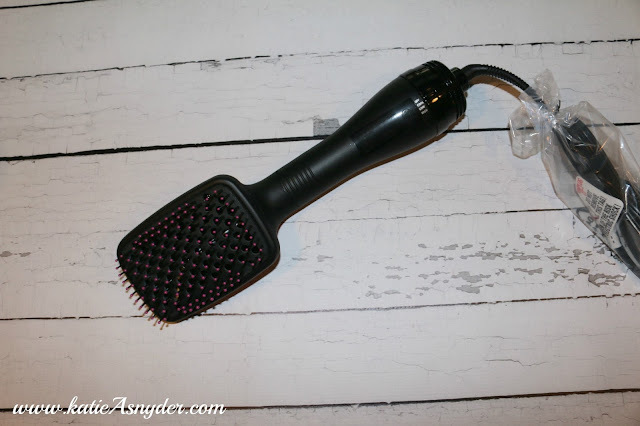 It is essentially a paddle brush with a blowdryer attached at the bottom, which makes it a tiny bit heavy, but nothing you can’t get used to. One thing I can get used to is the free hand, normally I have my paddle brush in one hand and blowdryer in the other, well with this I was able to have a free hand to help flip my hair in each direction. This blowdryer has a Cool, Low, and High setting, the Cool runs about as loud as the High, which is different then my normal hairdryer but nothing to complain about. 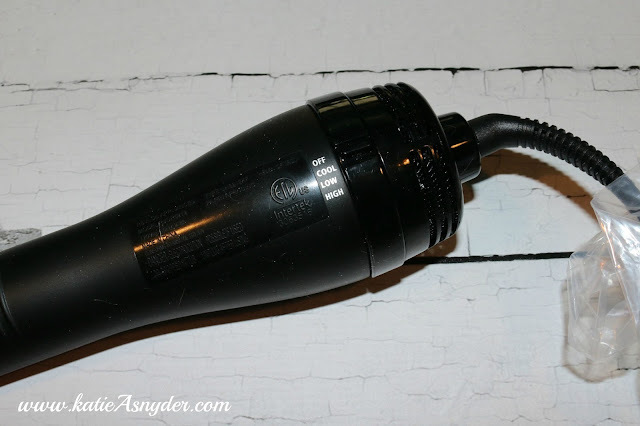 I didn’t use any product in my hair as the box claimed to make your hair sleeker, so I wanted to test that. After exactly 4 minutes and 20 seconds, my hair was dry! I couldn’t believe it, due to the fact that I have fine/thick hair (meaning its fine in texture, but there is a lot of it), and it normally takes a good 10-15 minutes to dry it, but because I wasn’t wasting time picking up a brush and then putting it down to free my hand up it went so much faster. Also my hair did come out much sleeker than with my normal dryer! All in all my first impression is, I Love It! I can’t believe I didn’t buy one sooner. After a good month or so of use I will do a full proper review for you guys. Looking forward to the full review as I have quite thick hair that takes forever to dry so this would be an amazing product to purchase if it works.